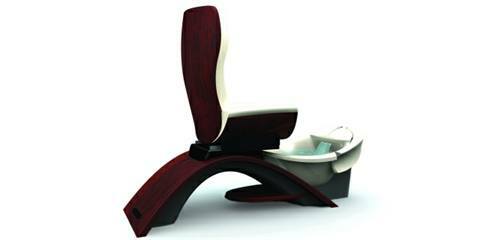 Continuum Footspas presents the elegantly styled Maestro pedicure spa chair. The chair is made with the least amount of plastic possible, instead using cherry wood for the chair and Corian for the basin. Nearly 10 years ago, two industry pioneers left the beauty business for new pursuits, selling a company that was, at the time, the sole manufacturer of pedicure spa chairs. But they never took their eyes off the salon industry. In 2008, despite a crowded foot spa market, they felt there was room for something new. 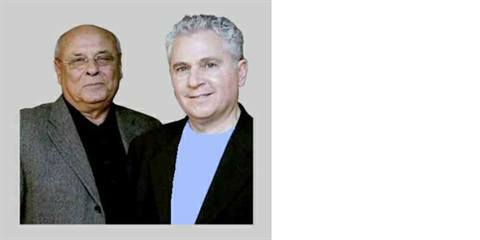 Joe Galati and John Meyerovich’s new company, Continuum Footspas, re-enters the fray with the Maestro, a pedicure spa that’s high tech and high style. NAILS caught up with the team to talk about their latest foray into the market. NAILS: Everyone has a pedicure spa chair. What’s different about the Maestro? Galati: We think the name sums it up. “Maestro” means conductor or leader, and this foot spa is just that. It’s very different, not just the way it looks, but how it’s made. As for quality, our background really gave us an advantage. We knew what problems there were with today’s spas. If we were going to come back to the industry, we wanted to raise the bar. One of our top R&D priorities was minimizing the amount of plastic in our spas. We used a beautiful cherry wood for the chair and it looks gorgeous. For the basin we’ve used a material that’s similar to Corian; we have exclusive water jets (they’re not propellers, they’re rotational). For massage, we don’t use roller massage. Meyerovich: Our spa uses acoustic massage. It’s hard to describe, but it relaxes and massages using sound waves. Each spa comes with 90 minutes of “musical passages,” but you can also bring your own MP3 player. Galati: When we came across SO Sound Solutions in Boulder, Colo., we were intrigued by the acoustic massage concept. Imbedded in the chair (both on the seat bottom and backrest) is what we call “sound hearts.” They are not speakers, but rather “transducers” that project the low frequency vibrations in the music through the seat cushions for ultimate relaxation. We wanted to offer something that’s different and I think most people will find at least one of the more than 15 passage selections to be really nice and relaxing.